A couple of weeks ago I created and shared a list of all the Cricut cartridges and their corresponding codes. Those codes can be used to quickly find any cartridge when using Design Space. So, you know how difficult it is to find the images that make up each of the layouts in the Artbooking cartridge??? In Cricut Craft Room you can just go to that cartridge and go through each of the tabs for that layout to find all the pieces. And we all know that because Design Space is cloud based there's a lag when you scroll through the list. So you have to sit and wait for the next few lines of images to show up. 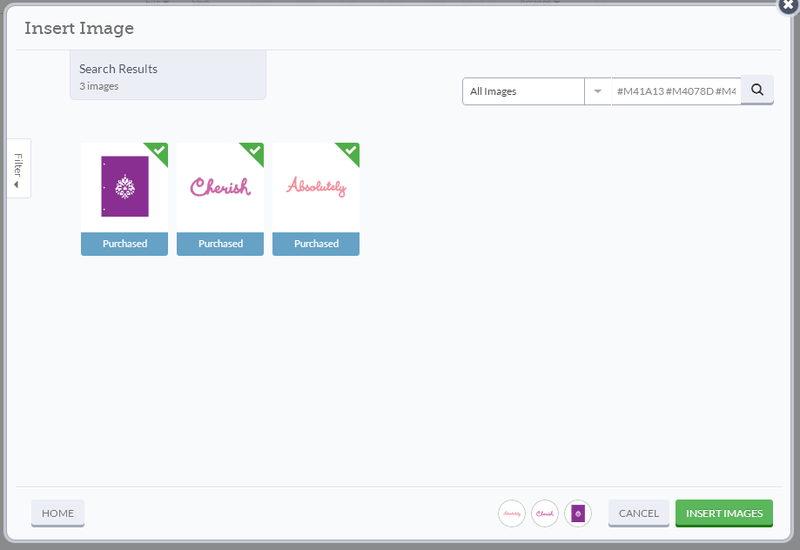 Then all you'd have to do is type the codes into the search box in Design Space to find those images! So, that's exactly what I have done. I've taken the digital PDF handbook and added the codes for every image. And I'm sharing it with you! Remember, you must type the # and the M for each code. As for all the files I freely share, all I ask you to do is be a follower of my blog by clicking on the blue Join this Site button at the top of the sidebar. Now that you've done that why not put your email address in the box below the followers gadget. That way you'll receive an email whenever I make a new post. And you never know what I might have for you next! So, how about that list then? Feel free to share but don't forget to let them know where you got it! You are amazing! Thank you, Narelle! I am guessing that When I Was a Kid & The First Few Years are the same way. I could start working on one of those for you, if you would like. Let me know. WOW! I can't believe the trouble you go through for the rest of us but, be assured you are appreciated more than you realize. I've no intention of buying the new machine because I just can't justify owning another machine when I already own the original bug, the expression, and the imagine. But, after finding your blog I plan to do more scrapbooking and less looking things up to do. This is amazing. Thank you very much!! Woohoo! I didn't think I couldn't edit in Adobe Reader...but I figured it out! I just finished putting the codes in The First Few Years handbook, if you would like it. Now, the scrapbook layouts will be a breeze. Next I am doing When I Was A Kid! Thank you for the idea, Narelle. Cannot thank you enough for your awesome posts and taking the time to figure this all out! You are a gentlewoman and a scholar! THANK YOU so much for doing this! Margo, I would love to see The First Few Years, if you're able to share. OMG..this was such an awesome thing to do. Thank you a thousand times. You are AWESOME! This is so very helpful! Thank you so much for sharing your hard work with us! Thank you! I have emailed cricut, talked to two different reps including one at the Scrapbook Expo and you have just solved my dilemma since the software was released! OMG Narelle! this is awesome! thank you sooo much!! and thanks for sharing! Used it today to cut a the CTMH Summer Sunshine layout! Thank you, thank you, thank you!! OMG I seriously LOVE you!!! Your blog is Godsend! Wow, wow, wow. The more I look, the more I'm amazed. Thank you so much. Ann, I'm not quite finished. I'm getting there. Thanks for sharing your hard work - this must have taken a long time to do! Narelle, you are amazing. All the hard work you go to for us is so appreciated. Wish I was near so I could give you a big hug. Thank you. Narelle,...have you thought about doing the Artiste yet? pretty, please! I'm working on it at the moment Adeline. Will post when I'm finished. Oh wow, it has been said but thank you so much!!! 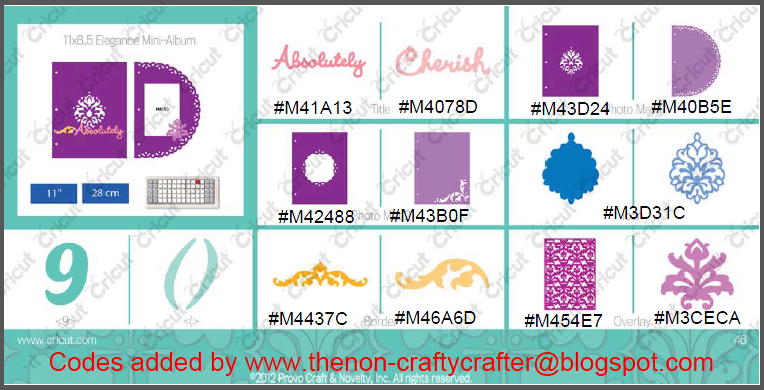 I actually used my Expression and Craft Room because I couldn't find a CTMH image on Design Space. You have helped with my frustration. Thank you heaps again! Thank you so much! I can't image how much work that was!! You've made my day!!! Thank you so much. Awesome! Thanks so much for sharing.